The NSW police use of drug detections dog in public places without a warrant has been widely discredited in the public eye. The damning NSW Ombudsman report into the program was released as far back as 2006. 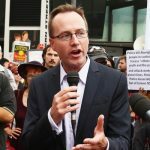 NSW Greens MLC David Shoebridge makes clear that up to 75 percent of times that people are searched after a positive indication from a sniffer dog, no illegal drugs are found. And he ought to know, as he’s been monitoring the search statistics since 2011. But, despite the legitimacy of drug dog operations already being in tatters, NSW police announced last week that its new sniffer dog policy at festivals prevents punters from entering a venue if a dog makes a positive indication, even if, no drugs are found on subsequent search. After getting over the initial shock, NSW citizens began asking what rights police have to do this. And as we previously reported they have none. While the Law Enforcement (Powers and Responsibilities) Act 2002 provides police with search powers, it doesn’t allow them to punish innocent people. 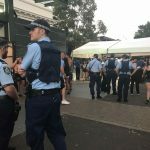 As NSW police announced their new draconian strategy, it also warned punters heading to the Above and Beyond festival last Saturday that they could be amongst the first in the firing line. Although, officers had already tried the policy out at the Midnight Mafia event back in early May. 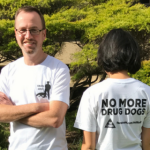 Anti-drug dog campaign Sniff Off launched a challenge against this overreach of police powers. Two plaintiffs appeared in the NSW Supreme Court last Friday seeking an injunction to stop the practice. However, the court dismissed the case stating that no one’s rights had yet been violated. On the following night, NSW police officers descended upon Sydney Showground with a pair of dogs in tow and began harassing revellers. And a number of ticketholders have since reported that they were actually barred, even though no illicit substances were found on them. Now, the Sniff Off team are set to mount another legal challenge, aiming to make sure that this is the last time NSW police take such a brazen approach to people’s civil liberties. And the next challenge will involve some solid evidence regarding individuals who’ve had their rights abused. 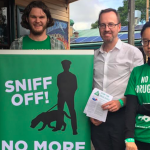 A joint venture between Mr Shoebridge and the NSW Young Greens, Sniff Off is a grassroots campaign with the primary aim of ending the police drug dog program. And its following has been growing exponentially, along with public awareness about the problems with sniffer dogs. As always, Sniff Off representatives were out the front of the Above and Beyond festival on Saturday to inform attendees about their rights. But, officers eventually moved in and prevented them from handing out their pamphlets, citing a 2012 Sydney Olympic Park precinct regulation. Sydney Criminal Lawyers® spoke to David Shoebridge about police claims that indicated people found not in possession of drugs must be handling them beforehand, what actually happened to those turned away on Saturday night, and how Sniff Off won’t back down. Last week, NSW police announced it’s now official policy to turn away attendees from festivals, who’ve been searched due to a sniffer dog indication, but no drugs are found on them. Officers have carried out this practice on two occasions so far. David, in effect, what does this policy mean? This is an attack on citizens’ rights to go about their business without being punished by the police when they haven’t committed an offence. What we are seeing is the NSW police force punishing people on the basis of an opinion of a dog. And if that’s police policy, then NSW is in a pretty dark place. In your understanding, is there any legislative basis that gives police the power to deny patrons entry to a festival simply because of a sniffer dog indication? We are not aware of any legislative basis for the police actions. It’s clearly not permissible under the Law Enforcement (Powers and Responsibilities) Act. It would appear that the police are relying upon a direction from the occupier and the authority that controls the Olympic precinct. Whether they can or cannot is a matter that’s going to be tested in court. In last week’s statement regarding the new policy, NSW police seemed to imply that sniffer dogs are making false positive indications, because those people being searched without any illicit substances on them have previously been handling drugs. What do you make of these claims? There is no credible evidence to support the police claim that all those people who have false positives from drug dogs have previously been handling drugs. We know that drug dogs get it wrong between two-thirds and three-quarters of the time. And they’ve also been responding to handler bias, and a range of other indicators, totally separate to the presence of or previous handling of drugs. 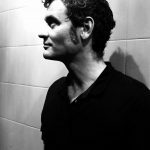 Sniff Off representatives appeared in court last Friday seeking an injunction to stop police carrying out the new policy at the Above and Beyond festival, but it was dismissed as nothing had happened as yet. What’s the next move for Sniff Off? We were obviously disappointed that we didn’t obtain the injunction on Friday. The court said it was a hypothetical case. Well, now it’s a very real and concrete case. We will be working with festivalgoers and a significant number of lawyers and reviewing the legal options this week. So, do you know what kind of strategy you’re going to take when you mount the next challenge? 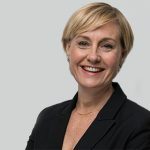 We are organising a brainstorming event, bringing together a number of lawyers – both barristers and solicitors – to work through the options that now exist. It may be a class action. 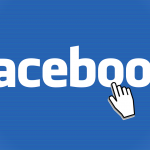 It could involve intentional court cases, or they might be civil damages claims. Everything is on the table at the moment. What did the festivalgoers who were sent home from Above and Beyond on Saturday night without possessing any drugs report happened to them? We know of at least five festivalgoers who were denied entry. And not only were they prevented entry to the festival, but they were also barred from returning to the entire Olympic precinct for six months. That’s a pretty offensive double punishment, all based upon the flawed opinion of a dog. And lastly, this policy isn’t simply geared towards festivalgoers, it also seems to be an attack on the music festivals, as continuing this practice is likely to discourage people from attending such events in the long run. David, what are some of the other implications of NSW police continuing to punish festivalgoers for no reason? This case has been about young people being denied entry into a music festival. But these police actions have far broader ramifications than that. If they are allowed to punish people without evidence at a music festival, well, we can be certain they’ll use this as a precedent to expand their powers across NSW. This is a critical battle for civil liberties, and my office and Sniff Off will not be taking a backward step in this case.